The True Gossip Home / DEMI: FROM BARNEY TO ROCK STAR! DEMI: FROM BARNEY TO ROCK STAR! 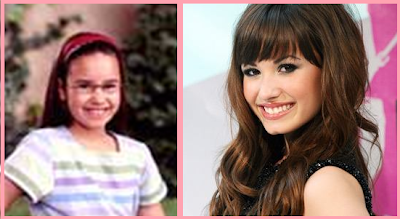 On the left is a picture of Demi Lovato when she was on Barney. On the right is Demi at the premiere of her movie, Camp Rock! Do you think she's changed a lot? Leave us a comment in our "shoutbox."